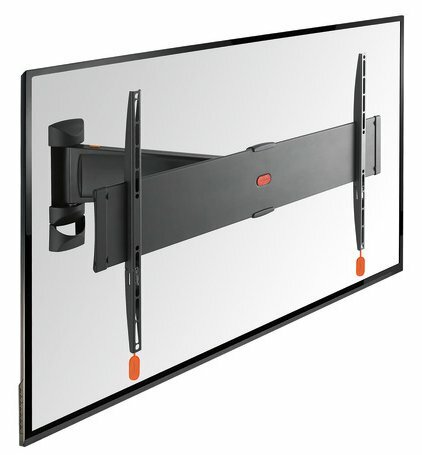 For up to 40 - 65"
For TVs up to 65 inch ( 165 cm) BASE 25 L is a durable TV wall mount, suitable for 40 to 65 inch (102 to 165 cm) TVs weighing up to 45 kg (99 lbs). Full-motion mount for the best view. 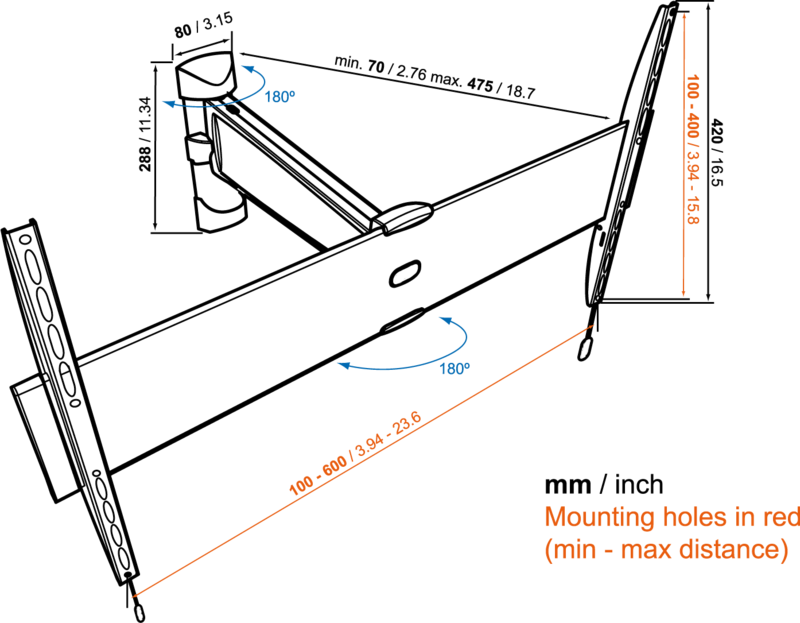 the BASE 25 L is easy, as it comes with cleat mounting instructions and all the mounting materials you need.